The Maven Bentley Association, RC and Maven. RC & ​Maven are here to fill all of your sport or entertainment needs. Whether it be voice over, acting, live event hosting, or motivational speaking, The Maven Bentley Association are here to make you look good. After 12 years of working alone, Maven Bentley is expanding his pro wrestling promotions firm to include one of the most respected figures in Pennsylvania's professional wrestling scene. Chad "R.C." Gerber has joined the MBA, LLC as its newest promoter. R.C. has two decades of experience in professional wrestling working for some of PA's top independent promotions in various positions, including booker, announcer, and producer. R.C. will be joining in the MBA,LLC "one stop shop" promotion approach. 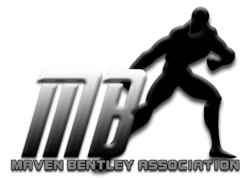 All clients are treated to the convience of only having to book their show, as the Maven Benley Association, LLC handles everything else, from PA state athletic commision paperwork, filing taxes, locker room management, and everything in between. The Maven Bentley Association, LLC is plesed to welcome its first non-Bentley partner and announce it's ability to contract multiple shows on the same date.